The current chapter explores how Saudi consumers perceive CRM campaigns, their awareness toward this kind of campaign, and then the effect of their perception on their willingness to participate in CRM campaigns in Saudi Arabia. In addition, it examines the effect of cause's attributes on the willingness to participate in CRM campaigns. The chapter discusses the results of 25 in-depth interviews with Saudi consumers that were conducted in one of the main shopping centres in Saudi Arabia. The following main themes emerged from the interviews: consumers' perception of CRM campaigns, matching between the charity and the company/brand, the importance of the cause to the consumer, and the proximity of the cause. In addition, results show the high impact of consumers' religious, moral, and cultural background on the decision to participate in a CRM campaign. In the competitive globalized markets of today, organizations need to differentiate themselves and their products in order to be successful, and to support their brand image in the mind of consumers. One way of doing this is by using marketing and promotional campaigns with a social dimension (Adler, 2006). Cause-related marketing (CRM) is one such promotional tool, which is defined as “a commercial activity by which businesses and charities or causes form a partnership with each other to market an image, product or service for mutual benefit” (Adkins, 1999, p. 11). Typically, this is achieved by stating an amount of money (proportional to sales) which will be donated to a charity each time a purchase of the product is made by the consumer (Olsen, Pracejus and Brown, 2003). Over the years, many studies have emerged concerning the relationship between CRM strategy and purchase intention (e.g., Babu and Mohiuddin, 2008; Mohr and Webb, 2005). No previous research has examined the impact of consumers’ perception and cause’s attributes on the consumers’ intention to participate in cause-related marketing campaigns. To date, few studies address the relationship between cause and consumer behaviour (Anuar and Mohamad 2011; Grau and Folse, 2007). 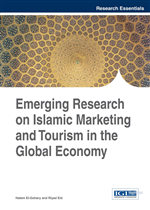 Thus, this research intends to promote current knowledge about cause-related marketing by understanding why some consumers participate in cause-related marketing and others do not, and extending these findings by expounding which attribute of a cause may affect the consumer’s choice and intentions to participate in the cause-related marketing campaign in Saudi society (Ross, Stutts, and Patterson, 2011). In the Kingdom of Saudi Arabia, many companies are getting involved in corporate social responsibility, such as, Hyper Panda, which is a major supermarket chain, and Etihad Etisalat Company (Mobily), a telecommunications company. First, Hyper Panda considers social responsibility as an essential part of its effort to be an active member of the Saudi society. In 2001, Hyper Panda launched its first programs in the area of social responsibility. One of those programs is a cause-related marketing campaign named “leave the change for them” and involved a collaboration with the Disabled Children’s Association. This campaign asks the consumer to leave the change from their purchase of Hyper Panda’s products as a donation to the Disabled Children’s Association. Second, Etihad Etisalat Company (Mobily) launched the representative mobile campaign, named “Saudi National Campaign for the Relief of the Somali people” where consumers can send a message at a cost of 10 Saudi Riyal (equivalent to $3) which is then donated to the Relief of the Somali people. What are the behavioral outcomes of cause-related marketing campaigns towards participation intention in terms of the consumers’ perception and cause’s attributes in Saudi Arabia?